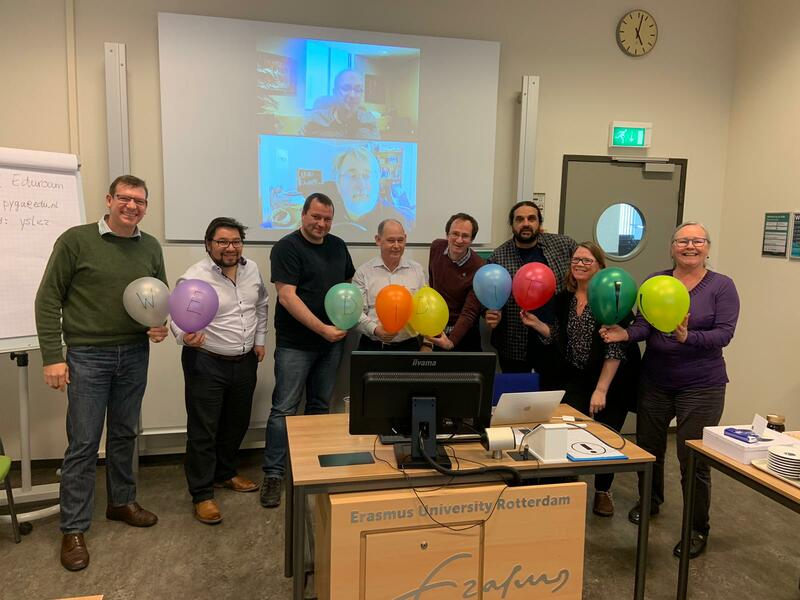 On March 18, 2019 the Project Exchange Standard was launched at Erasmus University, Rotterdam (The Netherlands). From top (on projection) Normand Peladeau (QDA Miner), David Woods (Transana), standing in front of the projection from left to right: Andre Liebenberg (NVivo), Friedrich Markgraf (ATLAS.ti), Joachim Pfaff (f4analyse), Fred van Blommestein (CG), Daniel Turner (Quirkos), Elias Rizkallah (CG), Christina Silver (CG), Jeanine Evers (CG). 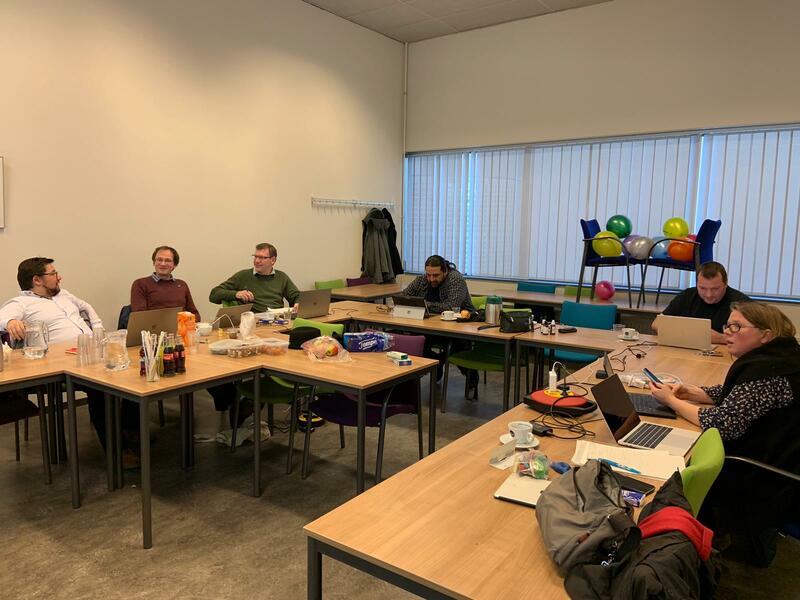 QDAsoftware.org © 2019. All Rights Reserved.